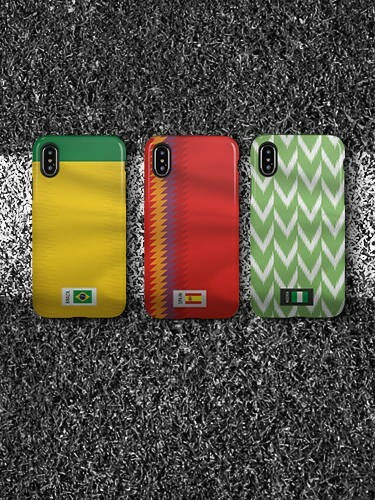 Represent your country with World Soccer Flags cases and skins. Prove your roots run deep. ¡Viva México! Showcase your fandom for the 5-time World Cup Champions. Let your passion for Germany be known. Show off your roots and where you came from with Flag cell phone cases, laptop skins, gaming decals and more! With dozens of countries to choose from, we're guaranteed to have your home country's flag that you'll love. Shop all Skinit Flag designs below!